Today was the start of two days of family togetherness in Izu. The Penpal and her family were taking my parents and I to a ryokan (traditional Japanese inn) in Izu Peninsula. I met my family at the hotel, and we were picked up in our two car convoy by The Penpal’s parents. Once again the men were in my future father in-law’s car with me translating, and the women were in The Penpal’s car with her translating. Their car was smaller but had a much better translator. 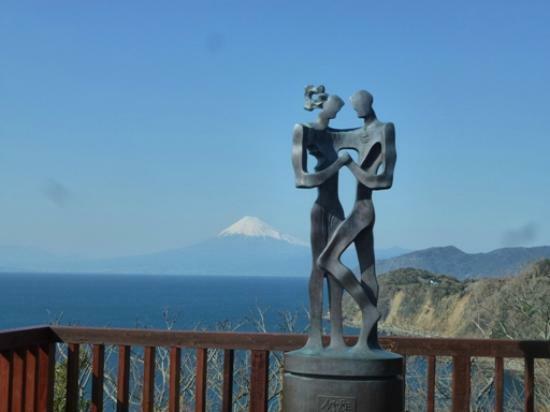 We hit a few sightseeing spots in Izu to show off the beauty of the mountainous peninsula before heading to our destination – Yado Ryokan Hanabusa in Izu Nagaoka. The “yado” is for pottery – one of the features of our inn was traditional pottery lessons; we’re doing that tomorrow. 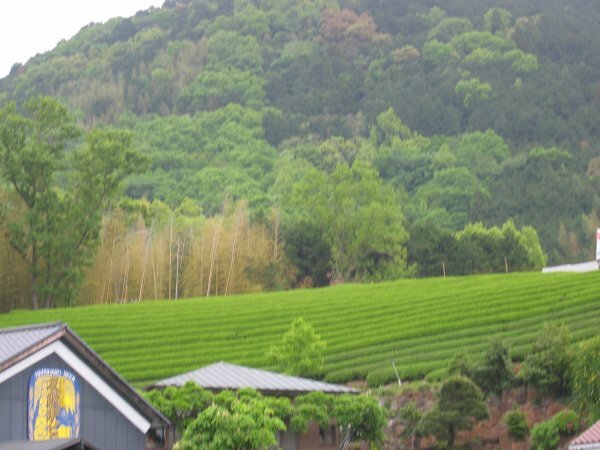 The landscaping around Hanabusa was beautiful, with cherry blossoms, rocks, and those beautifully crooked old trees that seem to be everywhere in Japan. Each family got their own room complete with sliding wooden doors, tatami floors, low tables and cushions, and a fantastic view of mountains and trees out the window. My parents enjoyed the traditional decor, but were also happy that the room came with a modern, non-threatening bathroom. After unloading our luggage, we went to the dining room for one of the most amazing dining experiences of my life. The food was kaiseki ryori, which involved a lot of fancy, small dishes that looked more like art than food. We weren’t really sure what we were eating most of the time, but everything was delicious. My mom specifically asked about a soup containing tender, flavourful white fish. The Penpal informed her that she was enjoying fugu, the poisonous blowfish that was made famous by Homer Simpson. The only food that wasn’t to everyone’s liking was uni, raw sea urchin. Uni is one of those foods that people either love or hate, with no middle ground. My dad bravely took half of a bite into the meat that had the same colour and texture as something you might cough up when you have a bad cold, said “no way”, and offered the rest to me. I ate it, and then got to eat almost everyone else’s uni as well, which was fine by me. Other than the uni, everybody loved all the food they ate. We moved from the dining room to the lobby to chat for a bit. There was a piano in the lobby, so we all convinced The Penpal to play a song for us. She played Moonlight Sonata beautifully which attracted a small crowd of other guests. After a few songs she tried to leave the piano, but the guests and hotel staff wouldn’t let her until she had played some more. Yes, my future wife is awesome! Today was the second day of my two day Izu vacation with The Penpal. The main activity of the day was a pottery school. It was well hidden in a residential area built on the side of a hill. The school taught the traditional Japanese way to make pottery. It was really out of the way, and everything was in Japanese which didn’t make it a very common tourist spot for foreigners. Based on the reaction of the staff, I was likely the first non Japanese person they had ever taught. The Penpal and I decided we would make simple cups. We paid for 1kg of clay and sat down in a room full of other students to await instructions. The pottery instructor came out and started the explanation. He started slowly and then stopped to wait for The Penpal to translate for me. I told her in English that she should just translate everything at the end to avoid holding up the lesson. She passed along the message and then the instructor went full speed ahead for the next 15 minutes. I could only understand about every 5th or 6th word, so I tried my best to remember what he was doing with the clay. Thinking I was serious, he looked shocked that he would have to give the entire presentation again. At this point I started laughing and told him that I was just joking. This got a good reaction from the rest of the students, and they all took turns coming over to say hi and to lie about how good my pottery wasn’t. I was especially popular with the middle aged ladies. A little of a foreign language and a smile goes a long way to make friends. When we left I got a lot of bows and sayonaras from the students and staff. The Penpal was largely ignored by everyone else, which was a little sad. We drove back to Mishima station and said goodbye and I was on my way home. One the train ride home, a little old man started talking to me in excellent English. He asked me for my business card (I didn’t have one) and said that next time I came to Izu, would I please stay at his hotel and help him practice English. In exchange he would serve me traditional Japanese food. The other people around us on the train all seemed to be interested and or amused by this conversation. 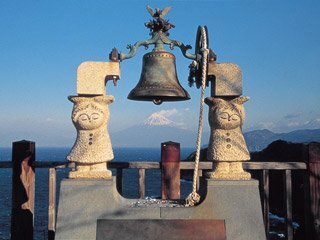 I love Izu! Today I woke up extra early to start a 2 day vacation to Izu with The Penpal. I took the Odakyu line to Odawara, switched to the Tokaido line, and met The Penpal at Mishima station. 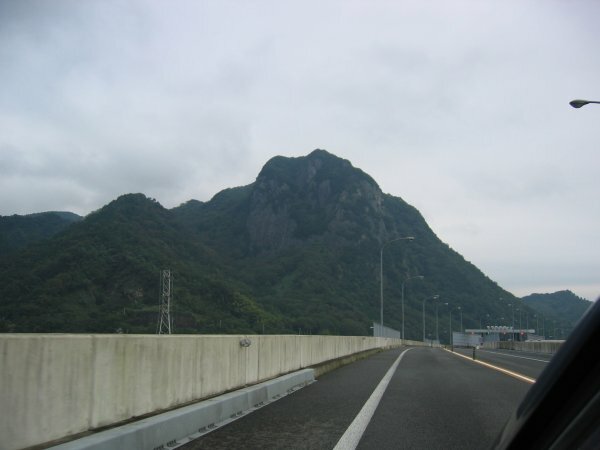 We got into her tiny car and headed off to the curvy mountainous roads of Izu peninsula. Small cars and mountain roads are not friends. Our first stop was the Cycle Sports Centre in central Izu, which is a bicycle theme park located in the middle of the mountains. There were a number of attractions and activities, but we came for the 5km bicycle circuit. We picked out bicycles and helmets, and then the nice attendant gave instructions on the brake handles. In Japan, the right brake handle operates the front wheel brake. This important piece of knowledge saved me flying over the handlebars. The course started out with a really fun curvy downhill section. Unfortunately what followed was a miserable steep uphill section that just about killed us both. After about 3km I realized that I was terribly out of shape. We survived the rest of the course and spent a good amount of time recovering in the resting area inside. Later we went to Ito, which is a city built on the side of the hills next to the ocean. We actually saw palm trees! There was a beautiful beach with people surfing. 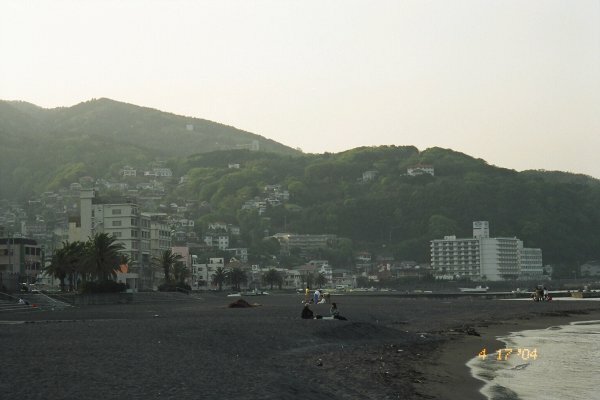 I couldn’t believe how different Izu was from the greater Tokyo area. It was like I had entered a different country. We ate dinner at an Italian restaurant near the beach, and then went to our hotel for the evening. We stayed at a small hotel owned and operated by one of The Penpal’s friends. The main attraction of the hotel was a beautiful private outdoor bath. Guests could reserve the outdoor bath for 30 minute blocks. The Penpal and I enjoyed sitting in neck deep hot water looking at the Izu scenery. It was a fantastic day!